Family is everything for Maksim Chmerkovskiy and Peta Murgatroyd as seen in a photo op with their son during the wedding of fellow “Dancing With the Stars” couple. Maksim Chmerkovskiy and Peta Murgatroyd posed with their adorable 2-year-old son in a photo uploaded on Instagram. 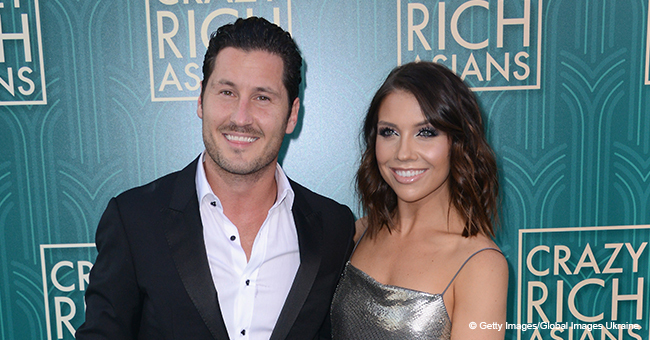 Their small family attended the wedding of Chmerkovskiy’s brother, Val and his new wife, Jenna Johnson, last Sunday. 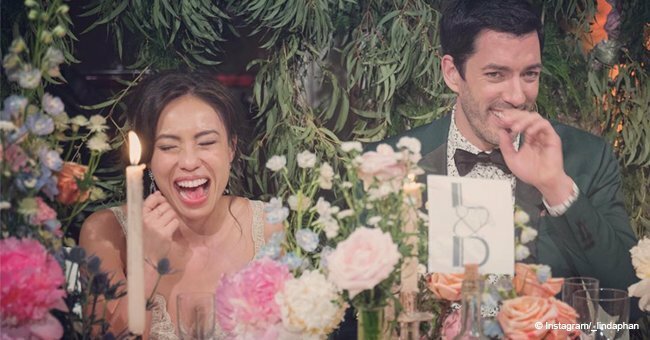 “Celebrating the new Mr and Mrs Chmerkovskiy,” Murgatroyd captioned the photo. 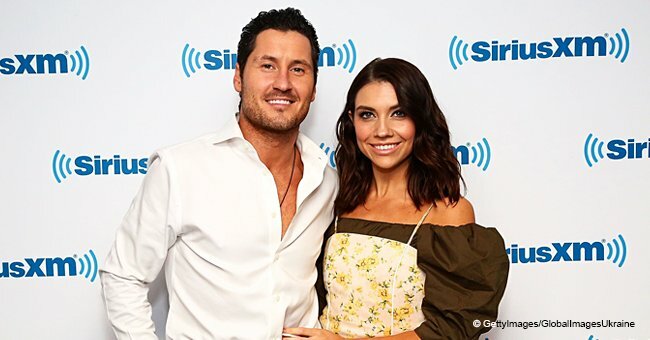 The first two photos previewed the family in all smiles and dressed up for the lovely occasion with Chmerkovskiy wearing a black tux while carrying Shai, who was wearing a white button down and a black bow. Murgatroyd wore a shining gold wrap around dress with a low neckline. The third photo was an intimate and romantic kiss of the “Dancing with the Stars” couple with the view of the clear blue skies behind them. Murgatroyd also posted a photo of her and Chmerkovskiy holding hands while walking on the grass of the resort where the wedding took place. The bride and groom, like Murgatroyd and Chmerkovskiy, are also “Dancing With the Stars” pros. Val, 33, and Jenna, 25, had an intimate ceremony at the Terranea Resort in Southern California, together with family and close friends. 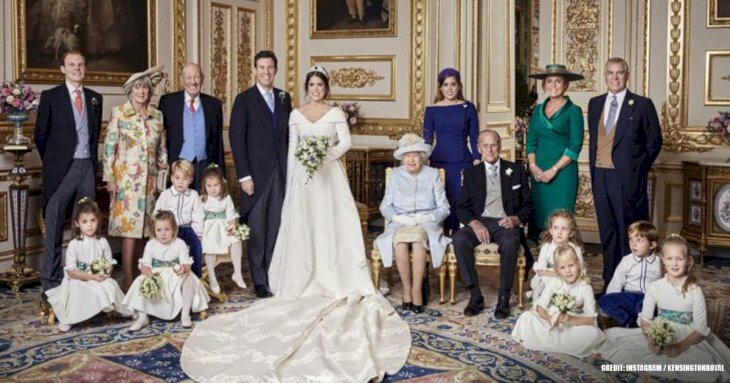 The event set-up had a chuppah filled with Tibet roses, ranunculus, astilbe, lisianthus, garden roses, and peonies, where they exchanged vows beneath, PEOPLE reported. “They were surrounded by family members and posed for several pictures with Maks and Peta as well as their parents. They read their own vows and it was a beautiful setting with a light breeze and lots of sunshine,” says an eyewitness to E! News. “They walked off holding hands and kissing. Then they stopped to look at their wedding rings in complete awe. They were showing the rings to each other on their fingers and they couldn’t contain their excitement,” added the eyewitness. “I will do anything for my wife. Just make this shoot all about her,” he said. Murgatroyd has a bright future ahead of her, beginning with her first film, “Faith, Hope, and Love,” which earned a 97% audience rating on Rotten Tomatoes. She is also venturing into entrepreneurship as she launches her tanning line since their child is now a toddler. “Having a baby really inspired me to share all of my experiences as a mom. He is the light of our lives and there’s so much to talk about,” she said. The happy couple is ready to grow their family as they disclosed that they are planning to have a baby girl. Perhaps soon an announcement will be made.